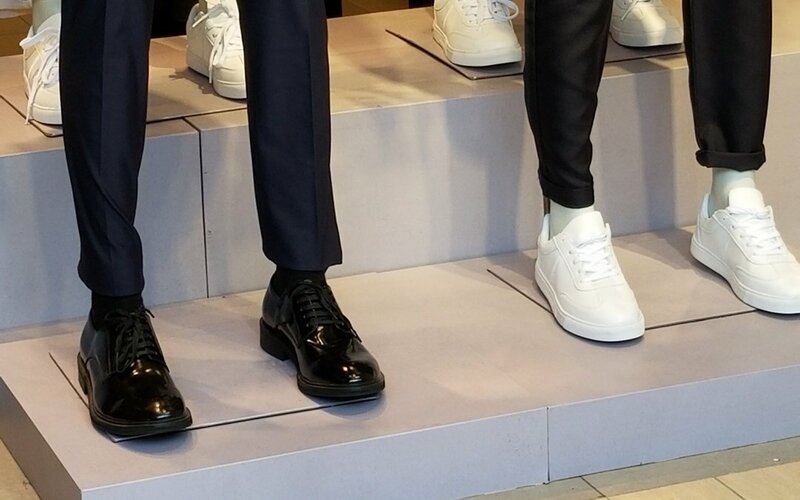 【 Suit + Sneakers? 】 A Fancy, or Weird Combination? [Question from SK Chan] Hi Darmian, leather shoes are classy companion for suits. What about sneakers? 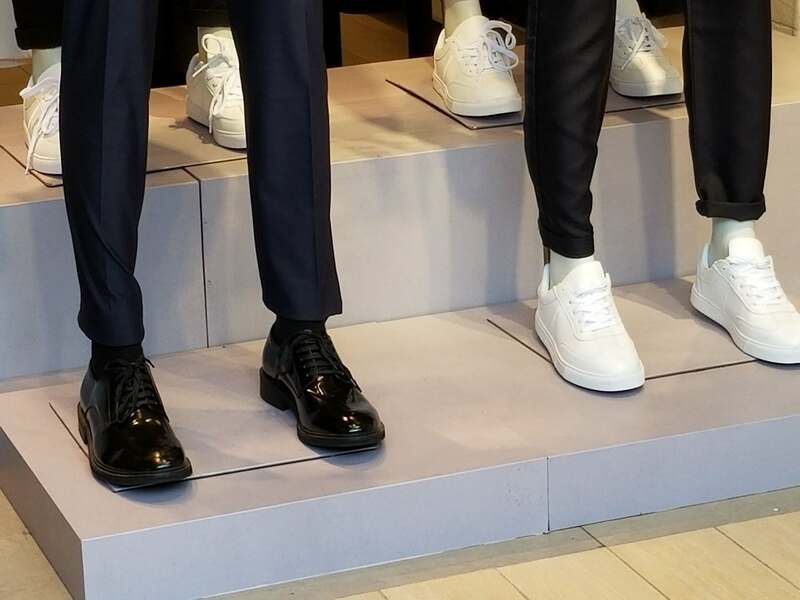 What is your view on sneakers-and-suit combination? Darmian S: Hi SK, thanks for your email. Suits are multi-purpose wear, it can be used as formal wear and casual wear. You can match suits with shirts or T-shirts, leather shoes or sneakers. Darmian doesn’t see any big issues with the sneakers-and-suit combination. The combination (or the dress code) largely depends on the formality of your wearing occasion. For job interviews and/or business meetings, Darmian always prefers suits with leather shoes (like brogues or Oxfords). The first impression you make comes from the way you look. The suit-leather-shoes combination is a classic business attire with an impression of formality and structured. 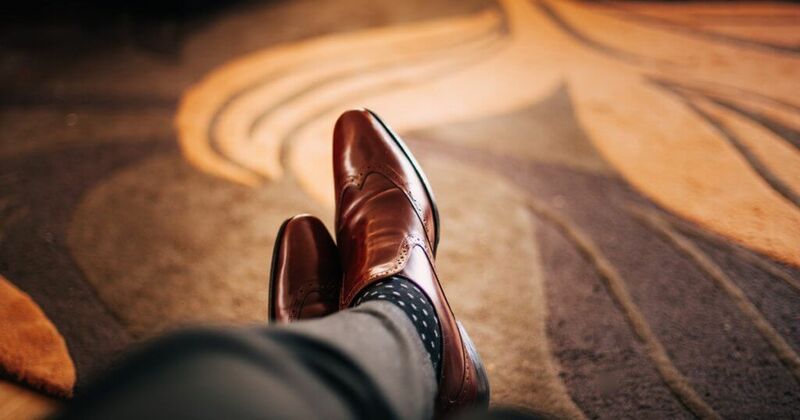 For those of you who work in a law firm or in the finance industry, there is no second option but suit-and-leather-shoes combination (and Oxfords are more preferred). For weekends or at friends’ gatherings, get yourself more playful and be more energetic. Put on a good looking suit blazer, T-shirts (or tie-less shirts), with contemporary sneakers. This stylish look can differentiate yourself from the crowd. 1) Simple Design – The first rule of thumb is simplicity. Choose suit blazers and sneakers of plain colours, e.g. light grey/light blue suit jacket instead of pinstripes, and grey or white sneakers rather than too many different colours. Overly-complex colour matching would see you as messy rather than trendy guy. 2) Fit and Proper Suits – Good fit, or bad fit suits, can easily tell in 3 seconds. For example, a good fit suit jacket should not pull across the chest (fabric making an ‘X’ shape across your abdomen). Kim prefers custom made suits to ready-made, which give better fitness. If you are looking for tailor-made suits/ shirts, there are a list of tailors in Hong Kong available here. Darmian S – Fashionista & suit enthusiast! Lover of local culture and exploring the secrets of the tailoring industry.